Credit cards slideshows can be fun. 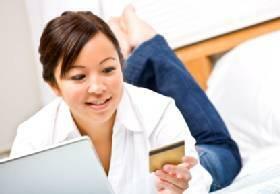 Look to Credit Cards Slideshows to give you the essential information you need in quick, easy to read formats. Each slide is accompanied by an image carefully selected by the writer to complement the valuable information presented within the slideshow. Whether you want to know about getting rid of debt or the credit card laws in place to protect you as an accountholder, you can find exactly what you need to know quickly in an easy to read format. Do you want to get your hands on the essential information you're looking for? Slideshow topics are created based on the information consumers are searching for, making slideshows timely and informative. Click on any of the Credit Cards slideshows to get the information you need regarding important credit issues, managing your debt and keeping your credit score solid. LoveToKnow is constantly updating and researching to keep you informed.